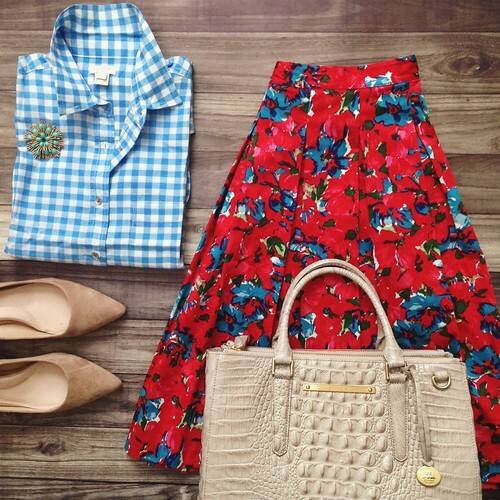 Exact: blouse on sale, clutch / Sim: skirt, sandals. Exact: shirt dress, hobo bag, sandals / Sim: belt. 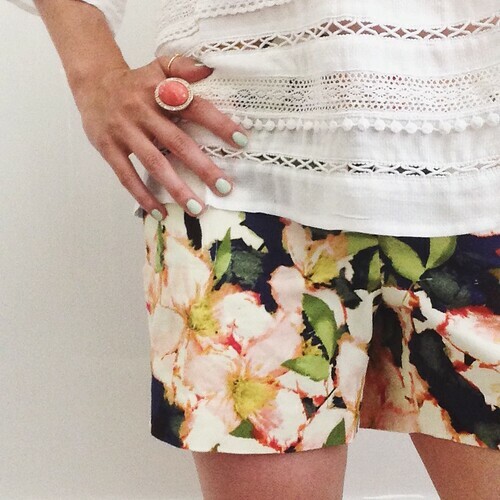 Exact: blouse / Sim: shorts under $30, ring under $20. Exact: shirt under $30, shoes on sale, satchel / Sim: skirt. Sim: shirt dress sleeveless, belt under $30. Exact: blouse, sandals, bracelet set / Sim: shorts under $20. 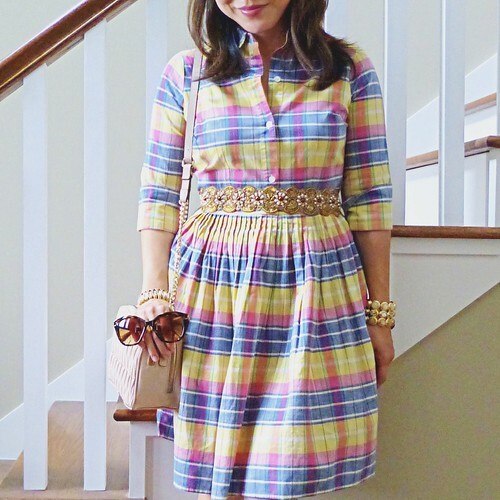 That halter dress is darling! Thank you - I agree! I want those colorful Torys! Thank you! They seriously go with everything, I highly recommend them!